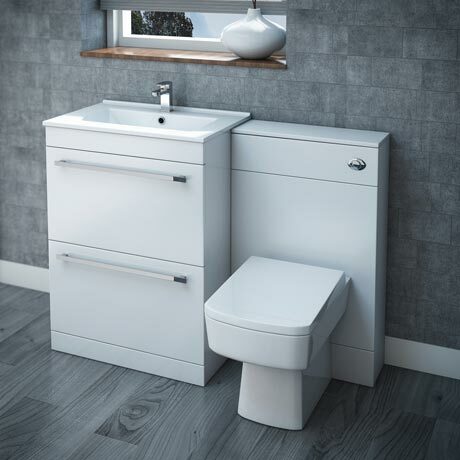 A stunning minimalist Nova floor standing vanity unit set, includes a basin unit with high quality slim basin top, a back to wall WC unit with concealed cistern, and a modern square white gloss toilet pan with top fixing toilet seat. Make the most of your bathroom with our modern and practical furniture options. All white gloss vanity units feature a high quality 1 tap hole ceramic basin. Bathroom suite comes as 2 separate units. Providing a ideal storage solution to suit most needs, especially where space is at a premium. Superb white gloss finishing and neat clean design help produce the quality contemporary look of this modern bathroom suite. The WC unit has a removable front panel which can be drilled for right/left hand or front flush. Comes with 5 year guarantee. Please note, top part of the vanity unit is a drop down door and the bottom is a drawer. Q. I note you deliver on a 2 man pallet. What does that mean please. 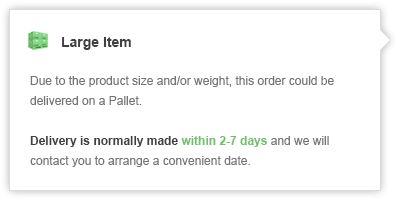 Will the product by placed into my house? Your delivery is handled by a specialist team, expertly trained in delivering a quality service with large and often heavy goods. On the pre-arranged delivery date, the courier will take your boxes to your room of choice, as well as removing any outer delivery materials, such as pallets or wrapping. I hope this helps, please let me know if you have any further questions.